“The Diary of Anne Frank” (1959) – George Stevens directed this adaptation of the Broadway play about Holocaust victimAnne Frank, her family and their friends hiding in an attic in Nazi-occupied Amsterdam. 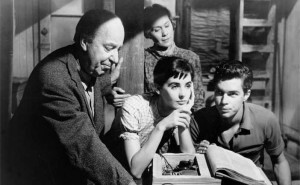 The movie starred Millie Perkins, Joseph Schildkraut and Oscar winner Shelley Winters. 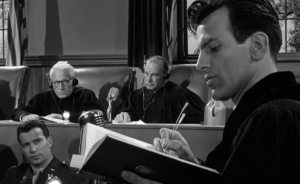 “Judgment at Nuremberg” (1961) – Stanley Kramer directed this Oscar winner about an American military tribunal in post-war occupied Germany that tries four Nazi judges for war crimes. Oscar nominee Spencer Tracy, Marlene Dietrich and Oscar winner Maximilian Schell starred. 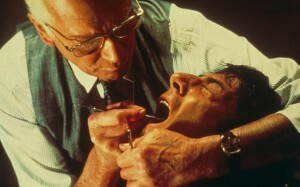 “Marathon Man” (1976) – Dustin Hoffman, Oscar nominee Laurence Olivier and Roy Schneider starred in this adaptation of William Goldman’s 1974 novel about a history graduate student caught up in a conspiracy regarding stolen diamonds, a Nazi war criminal and a rogue government agent. John Schlesinger directed. 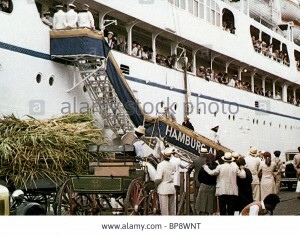 “Voyage of the Damned” (1976) – Faye Dunaway and Max von Sydow starred in this adaptation of Gordon Thomas and Max Morgan-Witts’ 1974 book about the fate of the MS St. Louis ocean liner carrying Jewish refugees from Germany to Cuba in 1939. Stuart Rosenberg directed. 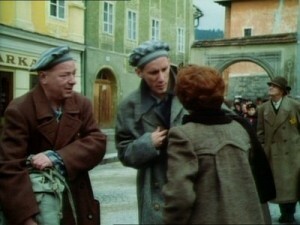 “Holocaust” (1978) – Gerald Green wrote and produced this Emmy winning miniseries about the experiences of a German Jewish family and a rising member of the SS during World War II. Fritz Weaver, Rosemary Harris and Emmy winners Meryl Streep and Michael Moriarty starred. “Sophie’s Choice” (1982) – Oscar winner Meryl Streep, Kevin Kline and Peter MacNicol starred in this adaptation of William Styron’s 1979 novel about an American writer’s acquaintance with a Polish immigrant and Holocaust survivor in post-World War II New York City. The movie was directed by Alan J. Pakula. 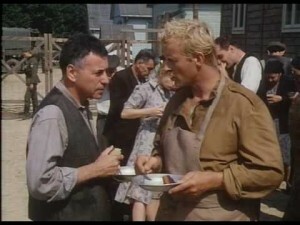 “Escape From Sobibor” (1987) – Alan Arkin, Joanna Paula and Golden Globe winner Rutger Hauer starred in this television movie about the mass escape of Jewish prisoners from the Nazi extermination camp at Sobibor in 1943. Jack Gold directed. 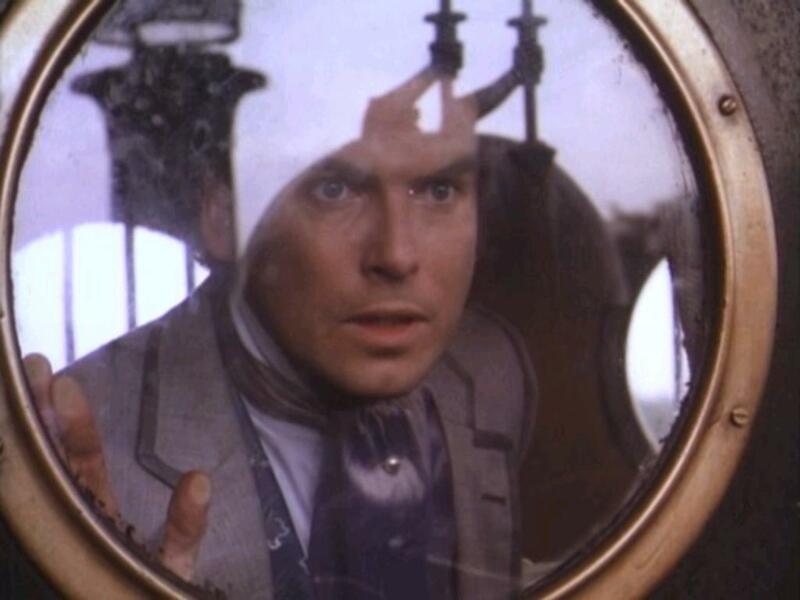 “War and Remembrance” (1988) – Dan Curtis produced, directed and co-wrote this Emmy winning television adaptation of Herman Wouk’s 1978 novel about the experiences of a naval family and their in-laws during World War II. Robert Mitchum, Jane Seymour, Hart Bochner and John Gielgud starred. 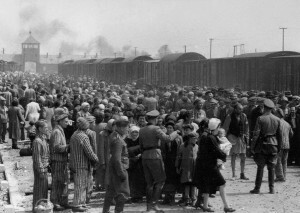 “Schindler’s List” (1993) – Steven Spielberg produced and directed this Oscar winning adaptation of Thomas Keneally’s 1982 novel, “Schindler’s Ark” about Nazi party member and businessman, Oscar Schindler, who helped saved many Polish-Jewish refugees during the Holocaust by employing them in his factories. The movie starred Oscar nominees Liam Neeson, Ralph Fiennes and Ben Kingsley. 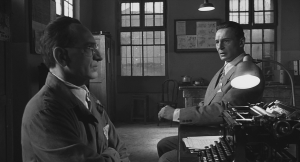 “Life Is Beautiful” (1997) – Oscar winner Roberto Benigni starred, directed and co-wrote this Academy Award winning film about a Jewish-Italian book shop owner, who uses his imagination to shield his son from the horrors of a Nazi concentration camp. The movie co-starred Nicoletta Braschi and Giorgio Cantarini. 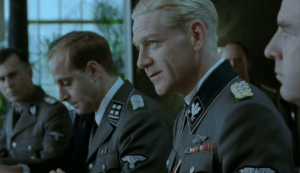 “Conspiracy” (2001) – This highly acclaimed HBO television movie dramatized the 1942 Wannasee Conference, a meeting between high Nazi officials to discuss the implementation of the final solution to the Jewish population under German control. Directed by Frank Pierson, the movie starred Kenneth Branagh and Stanley Tucci. 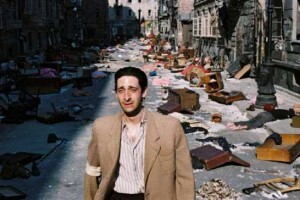 “The Pianist” (2002) – Roman Polanski directed this Oscar winning adaptation of Polish-Jewish pianist Wladyslaw Szpilman‘s World War Ii memoirs. Oscar winner Adrien Brody and Thomas Kretschmann starred. 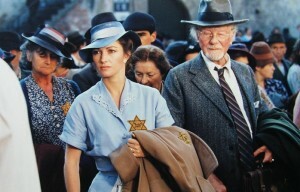 “Black Book” (2006) – Paul Verhoeven directed World War II tale about a Dutch-Jewish woman who becomes a spy for the Resistance after a tragic encounter with the Nazis. Carice van Houten and Sebastian Koch starred. 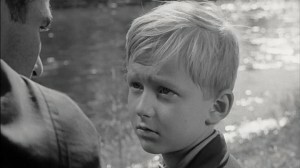 “The Boy in the Striped Pyjamas” (2008) – Asa Butterfield, Jack Scanlon, Vera Fermiga and David Thewlis starred in this adaptation of John Boyne’s 2006 novel about a friendship between two eight year-olds – the son of an extermination camp commandant and a young Jewish inmate. Mark Herman directed. “Inglourious Basterds” (2009) – Quentin Tarantino wrote and directed this Oscar winning alternate-history tale about two separate plots to assassinate Nazi Germany’s high political leadership at a film premiere in Nazi occupied Paris. 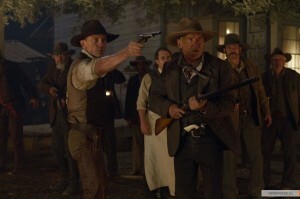 The movie starred Brad Pitt, Mélanie Laurent and Oscar winner Christoph Waltz. 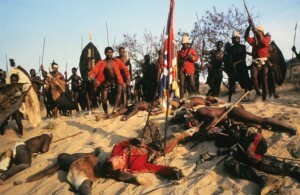 Julia Nickson was both charming and amusing as the very brave Princess Aouda. 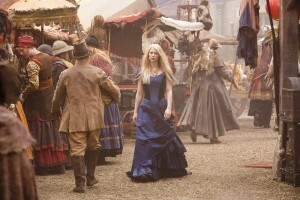 Her Indian princess provided the miniseries with some deliciously angst-filled moments that allowed Aouda to question Fogg about his habit of suppressing his feelings from others. Nickson’s Aouda also provided the miniseries with some political correct moments that were not only amusing, but well handled without being overbearing. And I simply enjoyed Peter Ustinov’s performance as Detective Fix. Like Brosnan’s Fogg, his Fix came off as more rounded and complex as Robert Newton or Ewan Bremmer’s Fix. Without a doubt, Ustinov had some hilarious moments – especially in scenes that featured Fix’s encounter with the Turkish prisoner on the voyage to Suez; and his reaction to another game of whist with Fogg. Not only did Ustinov managed to be funny, but also give Fix’s character with a great deal of depth not found in other versions of the story. Based upon Jules Verne’s 1873 classic novel, ”AROUND THE WORLD IN 80 DAYS” is the story of a 19th century English gentleman named Phileas Fogg and his newly employed French valet, Passepartout, attempt to circumnavigate the world in eighty (80) days on a £20,000 wager set by his friends at the Reform Club. 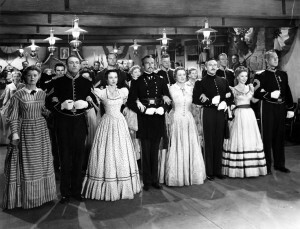 Produced by Michael Todd, the Academy Award winning film starred David Niven, Cantinflas, Shirley MacLaine and Robert Newton. Could someone please explain how ”AROUND THE WORLD IN 80 DAYS” managed to win the 1956 Best Picture Academy Award? How on earth did this happen? Do not get me wrong. 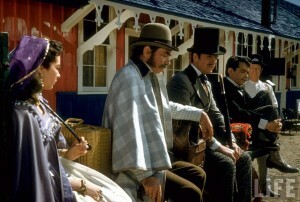 Ever since I first saw ”AROUND THE WORLD IN 80 DAYS” on television years ago, I have been a fan of the movie. The idea of someone taking a long journey around the world – especially in an age before air travel – greatly appealed to me. It still does. I like the idea of travel, whether I am doing it myself or watching it on the big screen or on television. 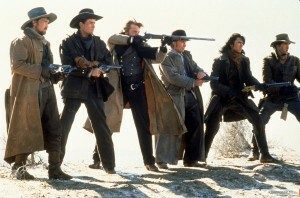 And even after all of these years, I still enjoy watching this movie. And yet . . . I simply cannot fathom the idea of it being considered the Best Picture of 1956. Even more surprising is the fact that John Farrow, S. J. Perelman, and James Poe all won Oscars for Best Adapted Screenplay.